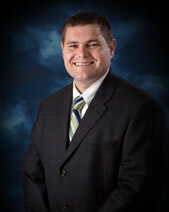 Dr. Bryan J. Prukop joined Complete Family Foot Care in 2000. He was born and raised in the Rio Grande Valley. He graduated undergraduate school at St Mary's University in San Antonio, Texas and obtained his doctor of podiatric medicine from Des Moines University in Des Moines, Iowa. Dr Prukop trained at the Veterans' Affairs Medical Center in Temple, Texas and the University of Texas Health Science Center - San Antonio. He is Board certified by the American board of Podiatric Medicine and maintains affiliations with several local hospitals.